Merkur Chrome 3pc. Barber Pole Shave Set-slant bar. 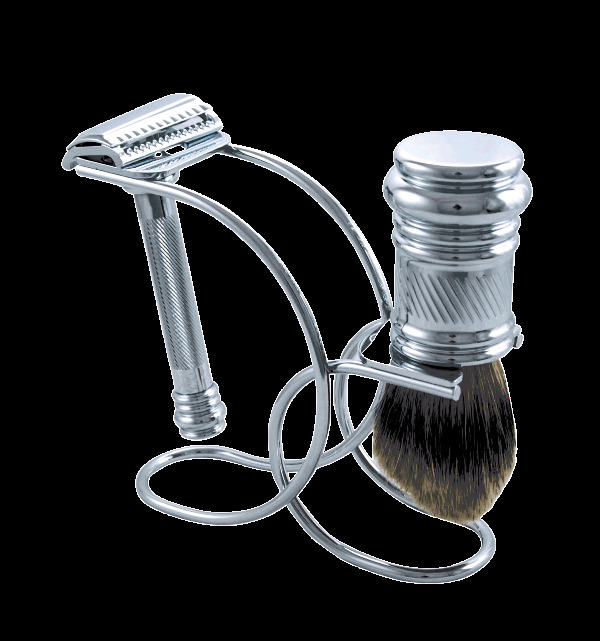 Comes with Silver Tip Badger Brush, Barber Pole Razor-slant bar, stand and soap. Made in Germany.